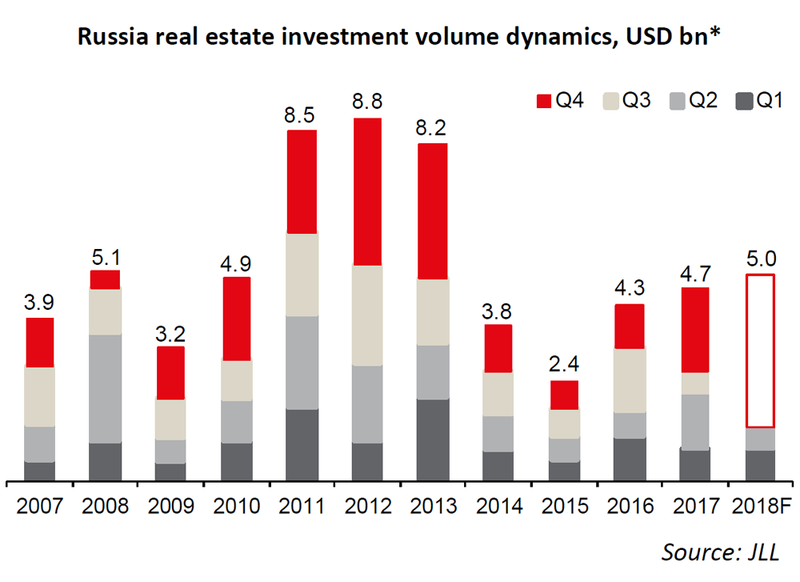 According to global real estate consultant JLL, Russia's commercial real estate investment volumes reached USD1.29bn in H1 2018, down 39% YoY from USD2.13bn in H1 2017, says JLL. 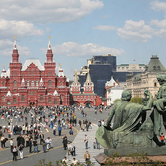 "Despite healthy macro fundamentals, Russia's real estate investment market was beset by geopolitical factors in Q2. New US sanctions against Russia announced in April resulted in rouble devaluation by 7-10% and raised currency and market volatility. This, in turn, has delayed the closing of some investment deals and led to investment volume decline by 63% YoY in Q2 2018", says Olesya Dzuba, Head of Research, JLL, Russia & CIS. In H1 2018, the residential sector (land plots for residential development) received the most investor attention, with 35% of the total volume. Offices followed with a 32% share, while delivering the two largest deals of Q2: the sales of the second building of Metropolis BC and Phase III of Romanov Dvor BC. The retail sector followed with 22%, where the deals with hypermarkets prevailed. 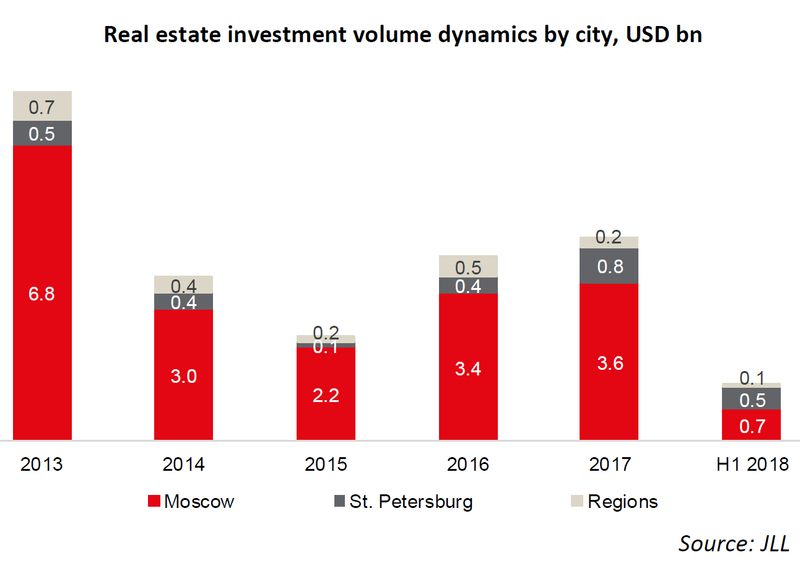 Moscow reclaimed the title of the most popular investment destination in H1 2018, with 56% of all deals. 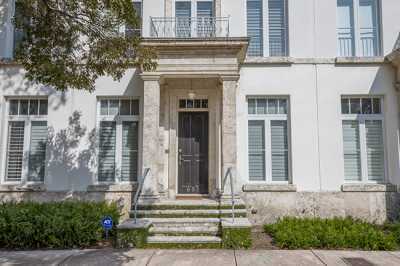 Although St. Petersburg's share declined to 38%, it remained above the recent average of 9.4% in 2013-2017. 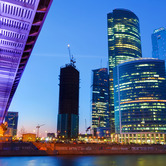 The highest volume of Moscow deals was in the office sector (44% of the total), while half of St. Petersburg deals were closed in the residential sector. The share of foreign investments barely changed, at 28% in H1 2018 versus 29% a year earlier. 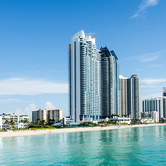 In Q2 2018 the US funds Hines and PPF Real Estate jointly acquired the second building of Metropolis BC, consolidating the office part of the complex. 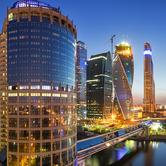 Foreign investors show interest in Russian assets, and JLL analysts anticipate several more deals with foreign capital to close in 2018. Thomas Devonshire-Griffin, Managing Director, JLL, Russia & CIS commented, "With the announced pause of the CBR's rate cuts, the cost of bank financing will likely not decline further in the short term, and may constrain potential investors. However, the economy continues to grow, the low inflation and the rouble stabilization at RUB61-63 per dollar, as well as the positive effect of the World Cup hosting will contribute to recovery of investor activity. In addition, the scheduled meeting of presidents Putin and Trump may partially reverse the recent negative geopolitical influence, helping to improve the Russia investment climate."